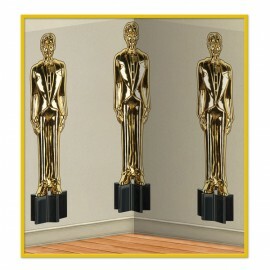 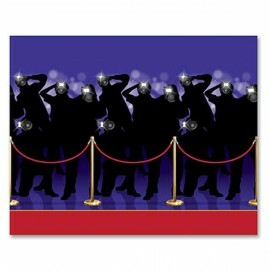 Backdrop Awards Night Male Statuettes ( Statues) (1.2m High x 9.1m Wide) Each.. 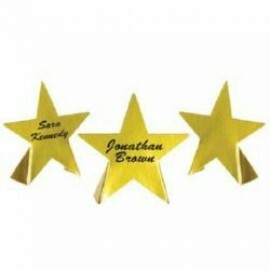 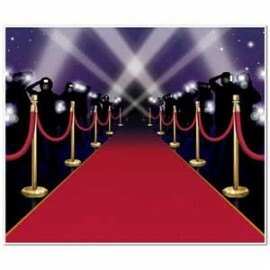 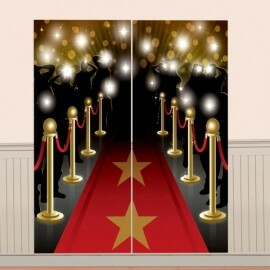 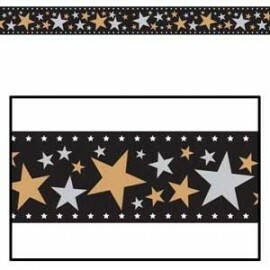 Backdrop Star Awards Night Scene Setter (1.2m x 9.1m) INSTA-THEME - Indoor & Outdoor Use - Plastic Each..
Black & Gold Tablecover Plastic Border Print 137cm x 259cm Each..
Border Trim Filmstrip (11.2 Metres Long x 4.7cm High) Each..
Hollywood Lights Tablecover & Stars Border Print Plastic 137cm x 259cm Each..
Insta-Theme Black Tie Lighting Props (670cm and 42cm) Pack of 14..
Paparazzi Backdrop (120cm x 900cm) Each..
Party Tape Celebrities Only (7.6cm x 6m) All Weather Poly Material Each..
Place Cards Foil Stars 3.5' (Foil 2 Sides) Pack of 8..
Red Carpet Insta Mural (152.5cm x 183cm) complete wall decoration Each.. 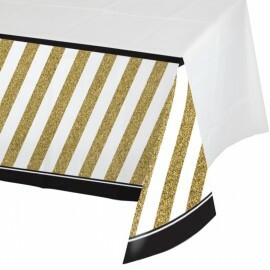 Scene Setter Border Roll Metallic Film (45cm x 12m Roll) Roll.. 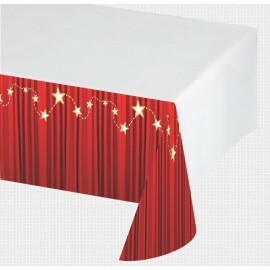 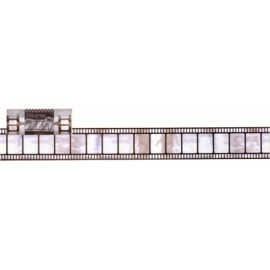 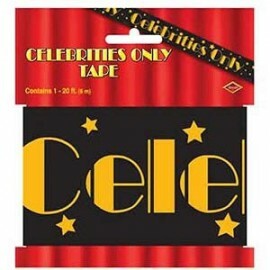 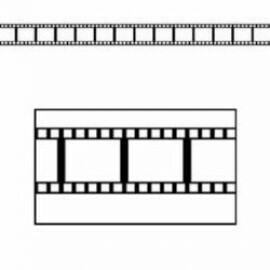 Scene Setter Hollywood Wall Decorating Kit (2 pieces totalling 82cm wide & 165cm High) Indoor or Outdoor Use - Plastic Each.. 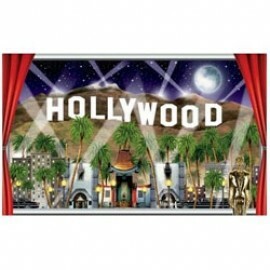 Scene Setter Hollywood Window View Give your window a view of Hollywood. 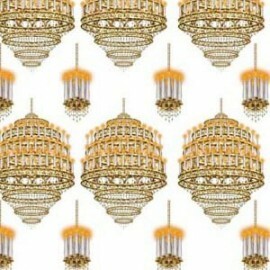 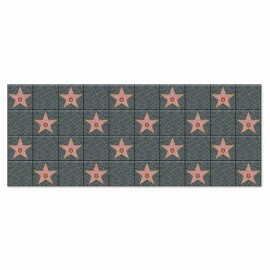 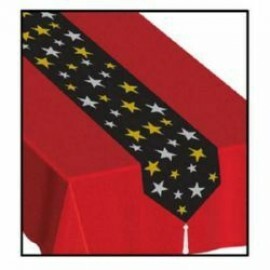 (1.5 Metres Wide x 1 Meter High) Each..
Table Runner Stars - Printed (28cm Wide x 1.8 Metres Long) Each..